Bill Davis, former resident of Portland, Indiana now resides in Ft. Wayne. He and his wife of 51 years have three daughters and ten grandchildren. Davis retired from Meshberger Bros. Stone Corporation after 32 years in sales and marketing serving the aggregate, glass, and roofing industry and the agricultural community throughout the Midwest and east central Indiana. During that time, he also worked closely with state officials and local communities on infrastructure and transportation projects and programs. He and his wife also owned and operated Limestone Products, Inc., a transportation and construction company for more than 30 years. Davis served on the board of The Indiana Mineral Aggregate Association and the board of The Indiana Motor Truck Association. Davis was elected to the Indiana House of Representatives in 2004. He served as a member of Roads and Transportation, Commerce and Economic Development, the Elections Committee and Labor and Pensions. He also served on the Ways and Means Committee from 2005 through 2010. He was appointed as Chairman of the Public Policy Committee from 2011-2013. He retired from the legislature to assume the directorship of the Indiana Office of Community and Rural Affairs for the Lt. Governor before officially retiring in 2014. Davis served as District Director for Congressman Marlin Stutzman from August 2015 through December 2016. As a lifelong east central Indiana resident, Representative Davis was active in many organizations in his local community. 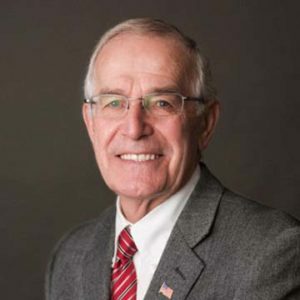 Davis is a past president of the Portland Chamber of Commerce and was a founding member of Jay County Development Corporation and served as a member of the Jay County Hospital Board of Directors. He also was a member of the Portland Volunteer Fire Department for 17 years. Currently, Davis serves on the board of the Indiana Motor Sports Corporation, Indiana Right to Life Board of Directors, is a licensed Indiana Auctioneer and a licensed Indiana real estate broker.